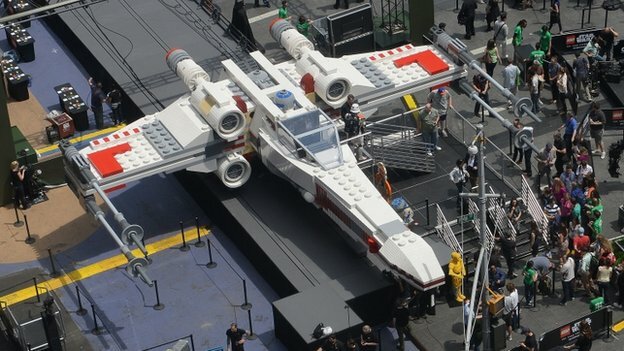 World’s Biggest LEGO Model is revealed in New York! It’s an X Fighter from Star Wars and it’s pretty much life size! It was revealed the other day in New York and it’s probably the best thing we’ve ever seen! It wasn’t an easy build though. It took 33 people a whole year to make it! It’s got loads of cool bits too like engines that light up and some pretty cool sound effects. It’s going to be tricky seeing it if you live in the UK though as it’s in New York right now and it’s moving to LEGOLAND in California soon. What would you like to see a life size LEGO version of? Let us know in the comment box below.